I’m honored that two of my books have been selected for the Society of Illustrators Original Art Show. The opening bash is October 27th. I look forward to seeing lots of great art and meeting some of my heroes. Top: Cloudette; ink, pastel and gouache on paper. Bottom: Goodnight, Goodnight, Construction Site; crayon on Mi-Teintes paper. 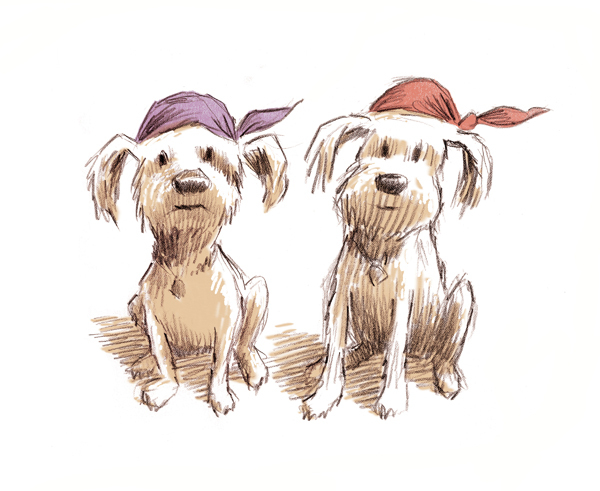 A sketch of Tammy Auel’s pups. Goodnight, Goodnight, Construction Site works its way back onto the New York Times Bestseller list. I just discovered a gem of a book from 1956. 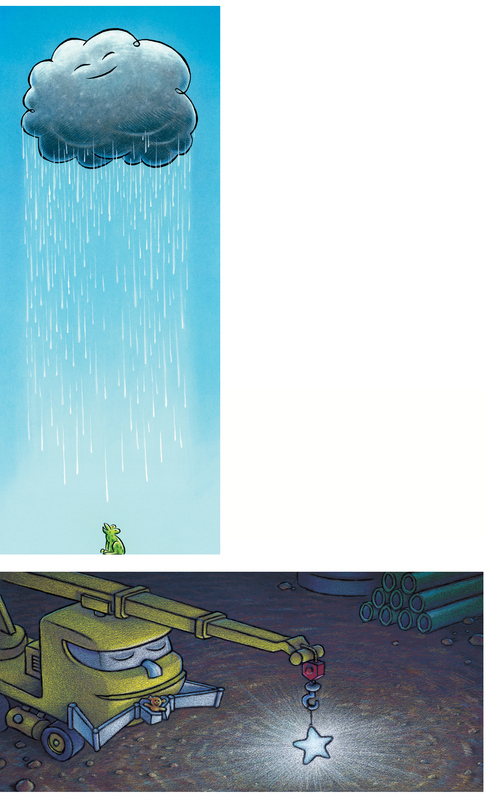 Cartoonist Osborn created this visual essay about the perils of the rat race as a promotional piece for a drug company. It then went “viral” and was published by S&S. Great energy and design, not to mention a message that was way ahead of its time.